The IRS wants to hear about insurance claims, if you receive more than the actual loss. 1. Is a Casualty Insurance Claim Check Taxable? 2. Do You Need to Claim an Insurance Lawsuit Award on Your Income Taxes? 3. Are Automobile Insurance Proceeds Taxable? If you have an insurance settlement coming, you may have tax issues as well. Although as a general rule the IRS does not consider payments on claims as income, under some circumstances you may have to declare them. 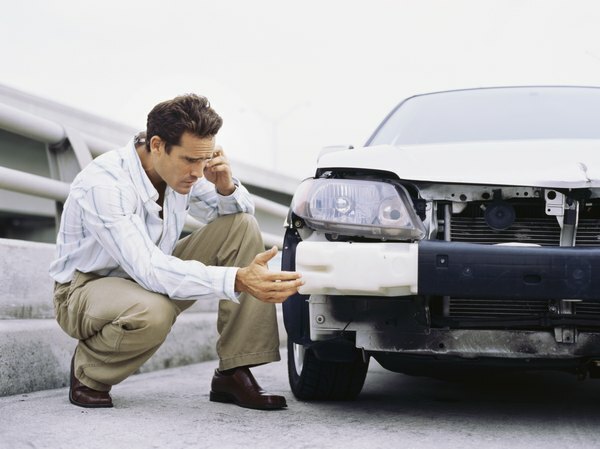 It depends on the amount you receive from the insurance company as a percentage of your actual damages. If you're involved in an accident, there are several components to the insurance claim you file: compensation for personal injury, medical expenses and property damage. The IRS does not consider personal injury payments as taxable income under any circumstances. If you deduct medical expenses related to the accident from your income, you have to adjust the deduction if you later receive payments from the insurance company for those expenses. Property damage payments may be taxable; it depends on how much you receive. If you receive insurance money for damage to your car, the IRS does not consider that taxable income. Instead, you have received an adjustment to the cost basis you have in the property. Therefore, if you paid $20,000 for the car, and receive $5,000 for damages, your cost basis is now $15,000, which only affects your taxes when you sell the vehicle. Any money you receive over and above the cost basis amount when you sell is considered a taxable capital gain. If somehow you manage to win a claim that exceeds the value of the insured property, then you have an IRS issue. You have to declare the excess amount as income and pay taxes on that income at whatever your individual tax rate is. In addition, any insurance claim you win for lost wages is taxable, the IRS theory being that you would have had to pay taxes on the income if you had actually worked for it. Other payments for emotional distress or punitive damages are also taxable. If you've suffered a loss in a natural disaster, the important number to remember is your basis in any insured property: the amount you originally paid for it, adjusted to reflect the value of any modifications or improvements. An insurance adjuster will determine the loss you've suffered and settle on fair compensation. However, if the payment is greater than your basis, then in the eyes of the IRS you've enjoyed a taxable gain. You can deduct any loss that was not covered by insurance. If your loss occurred in an area declared a federal disaster area, you can also delay reporting the taxable gain by reinvesting the claim money in replacement property up to four years from the year you received the insurance settlement; that period is extended to five years in certain areas, such as those affected by Hurricane Katrina in 2005 and the Kansas tornadoes of 2007. The IRS will not tax any insurance proceeds received for damage or loss of "unscheduled" personal property such as furniture, books, jewelry, clothing and the like. What Is the Purpose of Third-Party Insurance? Do You Have to Pay State & Federal Taxes on a Civil Lawsuit Settlement? Are Monetary Settlements From Accidents Taxable? Are Homeowner's Insurance Loss Payouts Taxable?